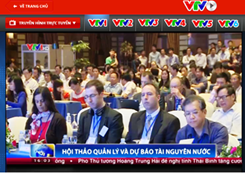 Thank You For Being Part Of Our Best VACI To Date! 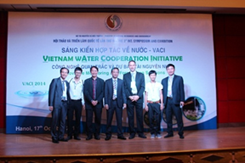 Vietnam Water Cooperation Initiative 2014 (VACI 2014), held on 17th Oct 2014 in Hanoi, saw more than US$ 300 million in total value for the announcements on planned water projects, tenders, investment and MOUs concluded at the event.Following the success of VACI 2013, especially for celebrating the "Water Resources Monitoring Day" (18 Oct), the VACI 2014 attracted more than 1,000 participants from throughout Vietnam and 20 countries spanning the government, international organizations, universities, research institutes and companies. 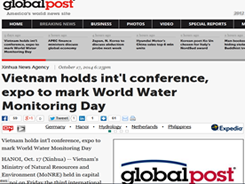 The event focused on discussion, exchange and sharing of water resources monitoring and forecasting technologies. 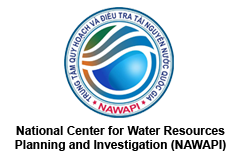 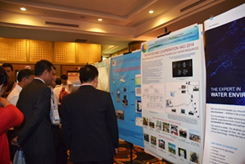 Distinguished speaker’s presentation on most recent water monitoring technique at the VACI 2014. 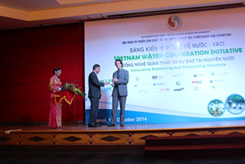 The discussion on the needs and plans for future water resources. 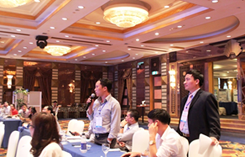 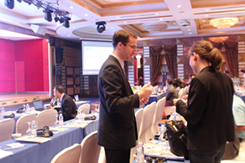 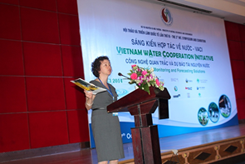 The media plays a key role in delivering pressing messages and gaining public attention/support for addressing water challenges The VACI 2014 has attracted attentions of many media agencies in Vietnam and beyond. 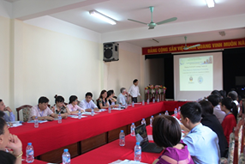 The proceedings of high-quality research papers at VACI 2014 were reviewed and published with an International Book Standard Number (ISBN: 978-6-0462159-9-8) by the Vietnam National University Press. 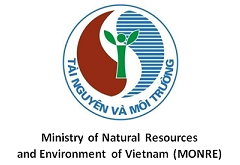 Those papers are also in reveiwing process for publication on a VACI Special Issue of Journal of Natural Resources & Environment (ISSN 0866 - 7608) hosted by HUNRE. 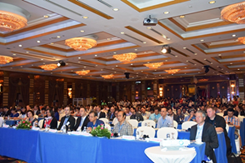 The soft version of VACI2014's Proceedings and all keynote presentations now are ready for dowloading at "Resources"of VACI homepage. 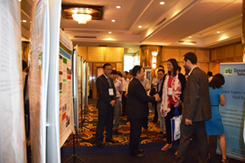 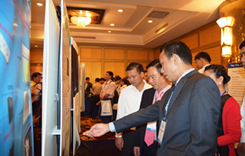 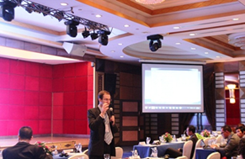 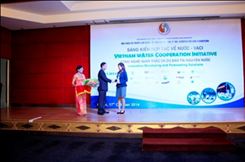 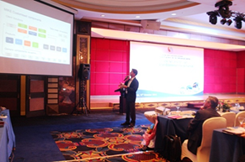 Thank you for attending Vietnam wAter Cooperation Initiative 2014. 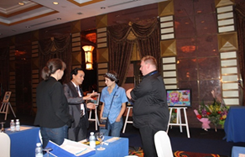 We look forward to seeing you again at the next show on 19th – 20th October 2015!